Cortez Brandriss from Oceania Breedables shares with us his reasons for joining us at the Faire this year and tells us more about the fantastic sea creatures you can now breed in your own sea. What is your favorite fantasy book/movie/rock album. Feel free to elaborate on this and explain why. That is of course the most interesting part. I will forever love The Never Ending Story— it swept me away as a child. And while I know this might not be high fantasy, I will admit that I know every line of every episode of Highlander by heart. What is your most memorable Faire experience. This is the fifth Fantasy Faire and I know all of you have been to at least one of these before, some of you have been to all five! So share some of the highlights as you remember them. This is our first year being a part of the Fantasy Faire and we couldn’t be more excited!!! We’ve been obsessing over all things mermaid lately, so we can’t wait to see what Fantasy Faire has in store for us from all the awesome mer designers. Show us your RFL items for this year or at least give us some sneak peeks! We do not have items for sale at the expo, but we did donate a hunt Item. If you met someone who had never been to the Fantasy Faire before, what would you say to them? Come with us!!! It is going to be an amazing experience! Let’s explore it together! All the extra stuff no one ever thinks to ask but you are burning to share. While we may be new to Fantasy Faire, we are not new to RFL. We are honored to be part of such an exciting SL event, and help contribute to this important cause. 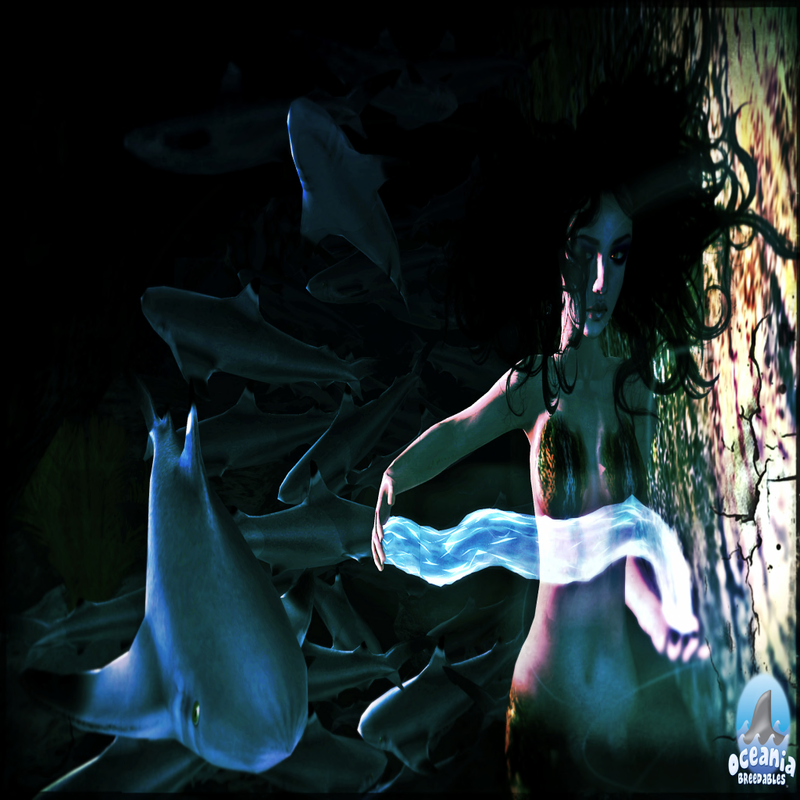 Somewhere in the depths of the ocean lurks what Second Life has been waiting for–living, breeding, realisitc sea creatures! 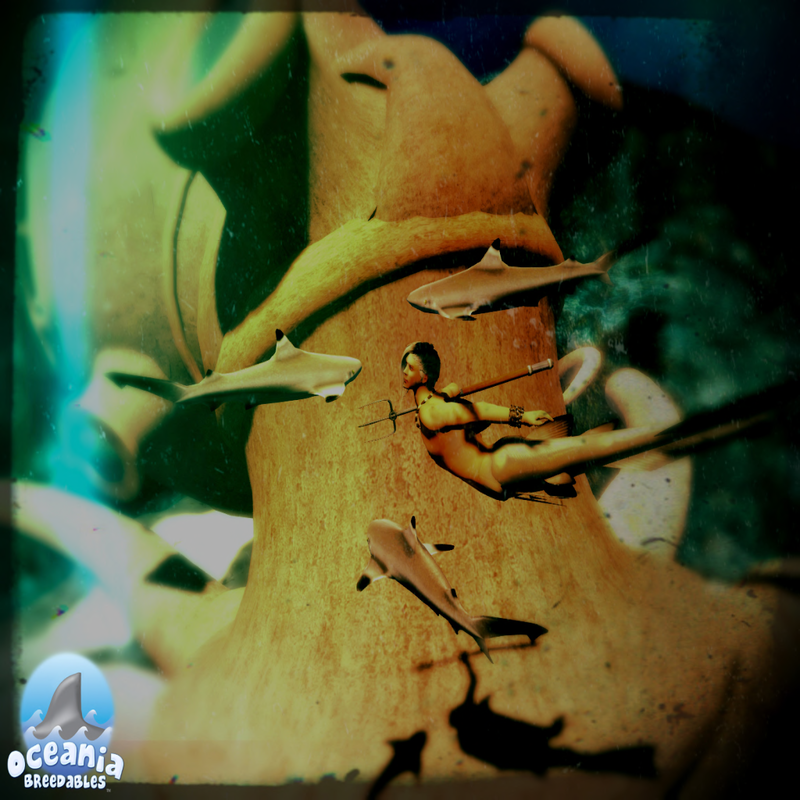 Whether you are a long time lover of breedable games, or simply wish to customize your home ocean with an entire underwater environment, Oceania will have something for you! Our mesh sea creatures will give you a chance to do more than decorate your SL water— they will allow you to breed tons of different trait combinations, and raise your animals from tiny babies, just like they were real life animals! Beginning with Black Tip Reef Sharks, players will be able to unlock a large variety of sea life–from sharks, mammals and more! Ever wanted to swim with the sharks? Or the risk of riding waves in the most dangerous waters? Now is your chance! All Oceania Sea Creatures are created using real life animals as models, bringing an attention to detail that will please even the most avid of ocean-enthusiasts. If you’ve ever wished for a real, living ocean in your Second Life, here’s your chance! What does Oceania have in store? The oceans are vast and the possibilities are endless! Thank you, Cortez, for taking the time to chat with us and to show us the marvels found under the sea!